When is eating delicious ice cream a sad affair? When it’s the last of the 7 “Eat Before It’s Too Late” ice cream joints on the list I’m completing. I think Hoang shed a tear. A butterfat tear. 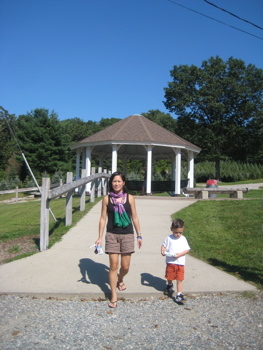 Buttonwood Farm is a hike. For all of you. Because none of you actually live in Griswold, do you? Heck, most of you didn’t know Griswold was one of our 169 towns. Don’t lie. If you tell lies, you don’t get ice cream for dessert. Or for lunch, as was the case for us on the day we visited. We stopped in on our way out to vacation at Point Judith in Narragansett, RI. It’s actually sort of on the way – or will be every year henceforth I’m sure. 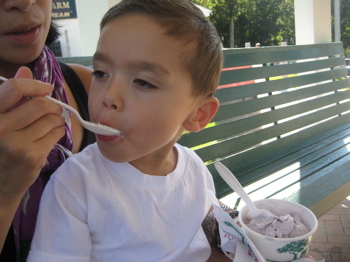 Buttonwood has a huge parking lot and a huge variety of ice cream. Beginning in 1975, The Button Family built a dairy set-up using timber grown on the land, and an old sawmill to mill the lumber. Since that time, the farm has been used to produce feed for cattle and milk for the wholesale market as well as merchandising cattle. 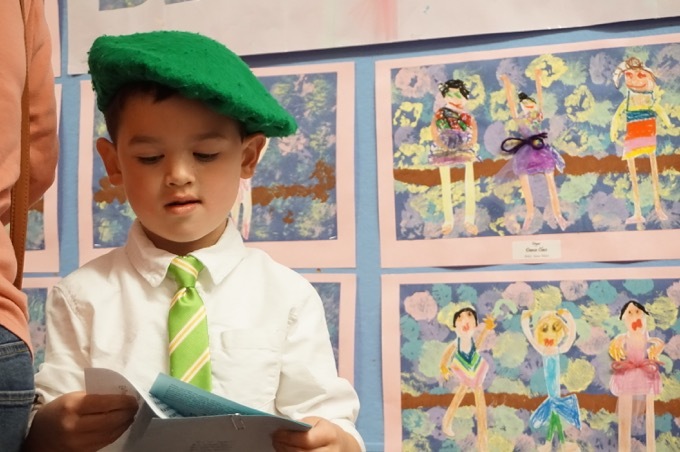 As the family has grown, the farm has become more diverse. Hay and silage are grown for sale. Dairy and beef cattle are raised and marketed. Along the way, a new sawmill has replaced the old one. In October 1997, we began yet another chapter in our farm history with the construction of a new ice cream stand. This too, began by felling trees for logs, milling logs for lumber, and finally building the structure. 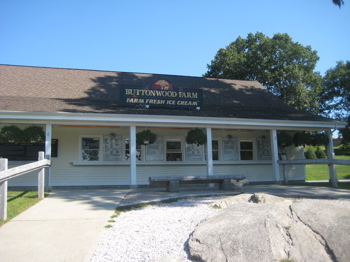 Buttonwood Farm Ice Cream opened on May 14, 1998. With our history of making things from scratch, it seemed only natural that our ice cream would follow suit. We researched old recipes, purchased equipment, and began with only premium ingredients. 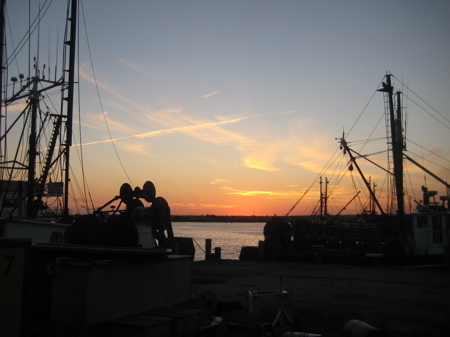 Through practice, we have learned to make the best ice cream available anywhere. It is our pleasure to have you experience our scenic country views and fresh air while enjoying our farm fresh ice cream. We make our own ice cream and waffle cones, so they’re fresh each day. We even use real home made whipped cream! 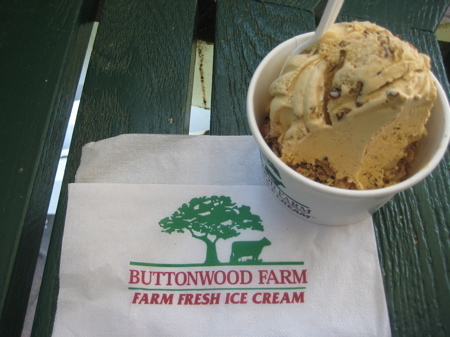 Hidden down a seemingly forgotten country road, Buttonwood Farm is an exemplar of the country farm creamery experience. The green, rolling fields and white, wooden fences provide a perfect backdrop for the ice cream, which takes center stage. With a long line of top-notch, satiny-smooth flavors served by smiling faces at a gleaming counter, it is no surprise that locals have worked to keep this secret quiet. Re: their top-rated flavor: A tawny-colored, graham-flavored ice cream interspersed with large chunks of chocolate-covered graham crackers. This flavor is proof that unique can be delicious and not just plain weird. As I’m forced to do, I got the flavor Roadfood most recommended: Graham Cracker. Now, I like graham crackers and all, but I’d never choose it as an ice cream flavor. I must say, it was delicious – and not weird at all like Roadfood says. I think the chocolate coating helps immensely and without it, this would be pretty awful. I imagine some of their other flavors are a bit more exciting for me, but the uniqueness of the graham flavor and the wonderfully smooth and creamy ice cream was just outstanding. Damian and Hoang got blackberry and some toasted almond (or somesuch) flavors and the three of us just sat back in the on-site gazebo and enjoyed the beginning of what was about to be a great week on the beach. Hoang was pregnant with Calvin at the time, so let’s just say, we had a lot more ice cream that week. 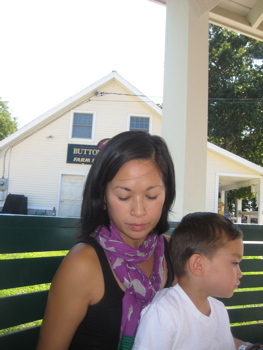 Living in nearby Norwich I’ve got to admit that not only have I known about Buttonwood Farm since it first opened but I’ve been there every year since. Granted, it’s still a bit of a haul out Route 165 even from here but it’s most definitely worth it especially if you go when the sunflowers that they sell every year for charity are in bloom. Makes for some great photo ops, too!